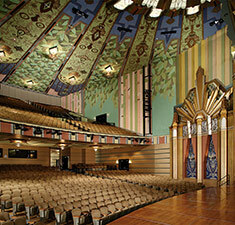 The renovation of the Fox Theater in Spokane, Washington, has won a prestigious Preservation Honor Award from the National Trust for Historic Preservation. The award is bestowed on distinguished individuals, nonprofit organizations, public agencies and corporations whose skill and determination have given new meaning to their communities through preservation of the nation's architectural and cultural heritage. "The Fox Theater is a community treasure and is a key part of the ongoing economic revitalization of Spokane's historic downtown," explains Stephanie Meeks, president of the National Trust for Historic Preservation. "Even when the Fox's stage is bare, the building's murals, plasterwork and light fixtures put on a show worthy of a standing ovation." NAC Architecture's "Fifth-Grade Exploration Studio" has been named the winner of Slate magazine's contest to reinvent the American classroom. 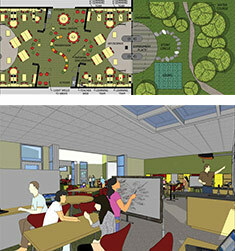 More than 350 entries were submitted to the online publication's competition to design a better fifth-grade classroom. "Their classroom embodies the word connection. Students are connected to the earth, to the Internet, to one another, to their teacher – who can see them from anywhere in the room, even though it's a busy space," states Linda Perlstein, public editor for the Education Writers Association and author of the Educated Reporter blog for Slate. She adds that NAC Architecture "thought of just about everything in their entry: adjustable furniture, a messy art area, video screens large and small, communal areas for classes to share, carefully placed mirrors that allow for eye contact when a student and teacher sit at a computer together." Trish Fineran, the teacher on the panel of judges, liked that the tables were on wheels and that the integration of spaces enables solo work as well as large and small group projects. While fifth-graders might not quite be ready to handle all the opportunities the room offers, if it were her class, Fineran explains, "They would gradually earn the right to move freely about the room and take more and more responsibility for working independently as they demonstrated responsibility to do so." Slate will share NAC Architecture's entry with school and government officials interested in changing American classrooms. 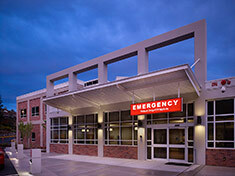 Highline Medical Center has opened a new $38 million, 75,000-square-foot building on its main campus in Burien, Washington, that houses a state-of-the-art Emergency Department and Patient Care Unit in order to meet the healthcare needs of the growing region. NAC Architecture designed the three-story Birch Wing, an addition to the existing hospital, to support a future vertical expansion of three additional floors. The Birch Wing houses a 27,000-square-foot Emergency Department on the main floor; a 21,500-square-foot, 31-bed Patient Care Unit for medical and cancer patients on the second floor; and a 27,000-square-foot parking garage on the lower level. Designed to be converted to Laboratory and Imaging departments in the future, the parking garage features a public elevator with direct, 24-hour connection to the Emergency Department above. The Emergency Department contains 32 private exam/treatment rooms, including two major-trauma response rooms. The Patient Care Unit has 21 private rooms and five semi-private rooms as well as generously proportioned family activity and waiting areas. Originally conceived six years ago in the master plan NAC Architecture completed for Highline Medical Center, the Birch Wing project generated significant support among community members, resulting in a successful fundraising campaign. NAC Architecture has designed many other projects for Highline Medical Center, including the Cedar Wing addition, and the Medical Pavilion and Cancer Care Center. NAC Architecture has earned the distinction of being on The Zweig Letter “Hot Firm 2010 List” of the 175 fastest-growing architecture, engineering and environmental consulting firms in the country, making this the third straight year NAC Architecture has appeared on the prestigious list. Inclusion on the annual list – compiled by ZweigWhite, a management consulting and research firm – is based on percentage revenue growth as well as absolute dollar revenue growth over a three-year period. Glacier Peak High School in Snohomish, Washington, is the recipient of an American School & University Educational Interiors Showcase Gold Citation for Cafeterias/Food-Service Areas. 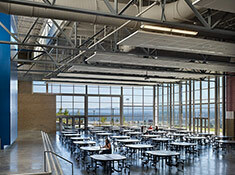 Describing the only K-12 school to win a Gold Citation, the jury, composed of school administrators and AIA-member architects, noted that the design of the cafeteria/commons space featured “exceptional siting with dramatic views. The space is innovative and flexible, filled with sustainable design features.” The annual Educational Interiors Showcase Awards honor education interior design excellence at the K-12 and higher-education levels. NAC Architecture has been named the #2 “Best Architecture Firm To Work For” in the U.S. for 2010 by ZweigWhite, a national management consulting and research firm, and engineering media specialists Stagnito Media. The annual list, on which NAC Architecture has previously been included, identifies outstanding employers based on their commitment to provide a positive work environment and challenging and interesting work opportunities for their staff members. The ranking is based on the results of a comprehensive survey of workplace practices and an independent survey of employees, with the final standing of the top three decided based on an intensive review by a panel of independent judges. 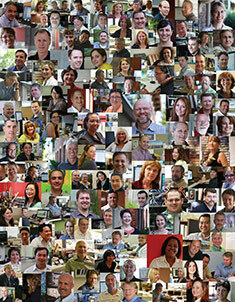 NAC Architecture was recognized for its “Leadership through Collaboration” corporate culture. Judges cited the firm’s development of a coaching-based professional development program last year to replace the annual review process. The new program focuses on goal setting achieved through mentoring rather than assessing performance and specifying corrective action. Judges commended the process that aligns individualized goal setting with NAC Architecture’s strategic plan. Another judge noted the firm’s creation of thought-leadership positions in an effort to infuse new thinking into its design work and enhance career development. Pamela Britton, principal of The Knowledge Environment, states this “strong theme of institutional knowledge development, including its thought leaders and lifelong learning” catapulted the firm to the top of the ranking. Read the "2010 Best Architecture Firms To Work For" article published in the October 2010 edition of Structural Engineering & Design. 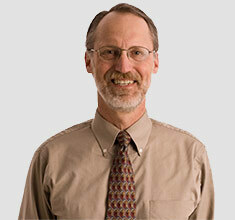 Colin R. Jones, AIA, CSI, LEED AP, has been appointed to the Washington State Board for Architects by Gov. Christine Gregoire. Jones, a principal with NAC Architecture, was recommended for the post by the American Institute of Architects (AIA) Washington Council. The board examines and licenses architects within the state, investigates violations of state regulations related to the practice of architecture, and recommends rules and regulations for administering the licensing laws. Jones, whose board term ends in June 2016, has been licensed as an architect in Washington state since 1989. A leader in the profession for sustainable design and professional development, he specializes in the technical aspects of architecture and how they apply to environmentally sensitive buildings. Jones possesses a wealth of knowledge regarding the AIA Intern Development Program that is invaluable to the board as it develops new rules in this area. The American Institute of Architects Washington Council presented Civic Design Awards to two NAC Architecture projects: the Cathcart Site in Snohomish, Washington, secured a Merit Award and Eastgate Elementary School in Bellevue, Washington, earned a Citation Award. 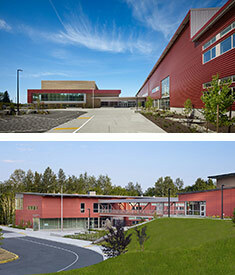 Comprising Glacier Peak High School and Little Cedars Elementary School, the Cathcart Site is a master-planned site for Snohomish School District.The annual Civic Design Awards program identifies public projects that are hallmarks of civic design. Civic projects earn the Merit Award by exemplifying their particular type of civic space, and the Citation Award is an acknowledgment of quality design based on individual reasons. Architectural Record recently published its Top 250 Firms annual ranking, with NAC Architecture placing 93rd for 2010, up from 104th in 2009. 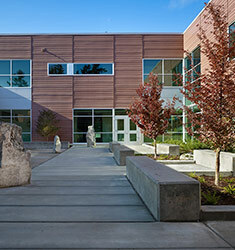 Learning By Design, a publication of the National School Boards Association, has conferred a Citation of Excellence for outstanding facility design on Eastgate Elementary School in Bellevue, Washington. Only three other projects were singled out for this level of recognition. The school will be featured in the fall 2010 edition of Learning By Design. The American Institute of Architects Committee on Architecture for Education (AIA CAE) has presented the Cathcart Site with an Award of Excellence for exceptional design, the top honor bestowed by the organization. 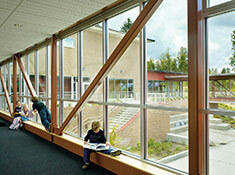 Comprising Glacier Peak High School and Little Cedars Elementary School, the Cathcart Site is a master-planned site for Snohomish School District in Washington state. 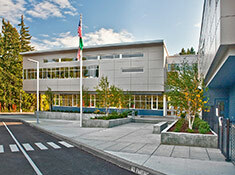 In addition to creating the master plan, NAC Architecture designed Glacier Peak High School and Little Cedars Elementary School, recipient of a Learning By Design Citation of Excellence. The AIA CAE Educational Facility Design Awards Program annually honors excellence in educational and cultural facilities. While showcasing and celebrating exemplary architecture for education, the program also identifies trends and emerging ideas and disseminates the best ideas and knowledge about educational facility planning and design to clients, architects and the public. The National School Boards Association (NSBA) has awarded a citation to Eastgate Elementary School in Bellevue, Washington. The project was exhibited at the NSBA annual convention in Chicago in April. The NSBA noted that “the jury felt that this design supports education on many levels. The building and the outdoor learning environments it creates on a tight urban site are pleasantly and residentially scaled, making the campus particularly inviting. The interior and exterior appear to flow seamlessly together, encouraging active use of the formal and informal interior learning environments as well as three outdoor classrooms with many seating and landscape features that reinforce the curriculum. Inside, the small scale of the school is further reinforced through the creation of small, grade-level neighborhoods and the classrooms feature generous natural light. Finally, the materials of the building are warm and nicely detailed, further enhancing the daily experience of the students and faculty." We are pleased to announce staff advancements.